POLICY CHANGE: Due to rising postal rates... all orders outside of the US will be delivered electronically via email. Tabs/Transcriptions will be sent in PDF format and Rhythm Tracks will be sent in Mp3 format. 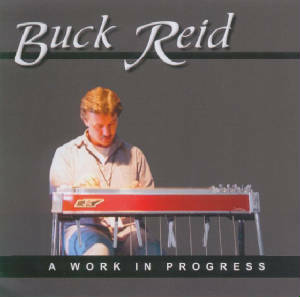 Please email us at buckjreid@gmail.com if you have any questions. Thank you for your understanding! US Only - please left click this button to purchase "A Work In Progress" CD. US Only - please left click this button to purchase Rhythm Tracks for the "A Work In Progress" CD. You can purchase either the "A Work In Progress" or Rhythm Tracks CD's with check or money order by providing your mailing address and how many of each you would like. Just click the "Print This" button below and fill out the Form. Shipping: US & Canada please add $2.50 for postage. Int. orders please add $4.00. Please email us here if you have any questions.